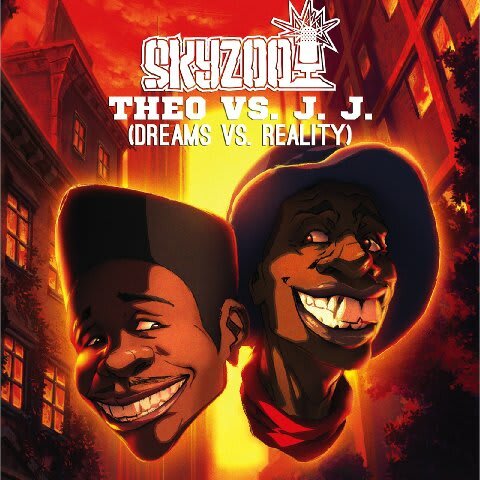 Mixtape: Skyzoo "Theo Vs J.J. (Dreams Vs Reality)"
Brooklyn rapper Skyzoo returns today with Theo vs J.J. (Dreams vs Reality) mixtape. The follow-up to 2011’s The Great Debator finds Skyzoo sampling and rapping about The Cosby Show’s Theo Huxtable (the “Dreams” segment) and Good Times’ J.J. Evans (the “Reality”). With guest spots from Mayer Hawthorne, Thelonious Martin and Torae, this is one powerful tape. Listen to the whole thing below and pick up Skyzoo’s upcoming full-length, A Dream Deferred, October 2 via the Faculty/Duck Down Records.